Diy, couple measuring wall at home. 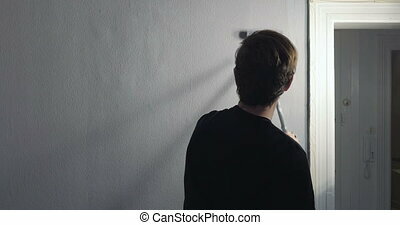 Do it yourself, couple measuring wall to hang picture at home. fast pace video of person painting his wall at home. New colour painted on walls in apartment.